Building a movement against racism, austerity and war has never been more urgent. It is now 15 years since the bloodthirsty invasion of Iraq, and British and US imperialism continue to drive the region deeper into chaos. Austerity cuts are biting ever deeper, and local councils around the country are on the verge of bankruptcy. The housing crisis is intensifying: as more luxury flats are built and left empty by investors, more and more people are being evicted and sleeping on the streets. Brexit threatens unknown economic consequences, and the racist and chauvinist forces which swung the vote are gaining in strength. Underlying all of this is an economic system in crisis which must be replaced. Revolutionary resistance is urgent. The RCG and our newspaper Fight Racism! Fight Imperialism! 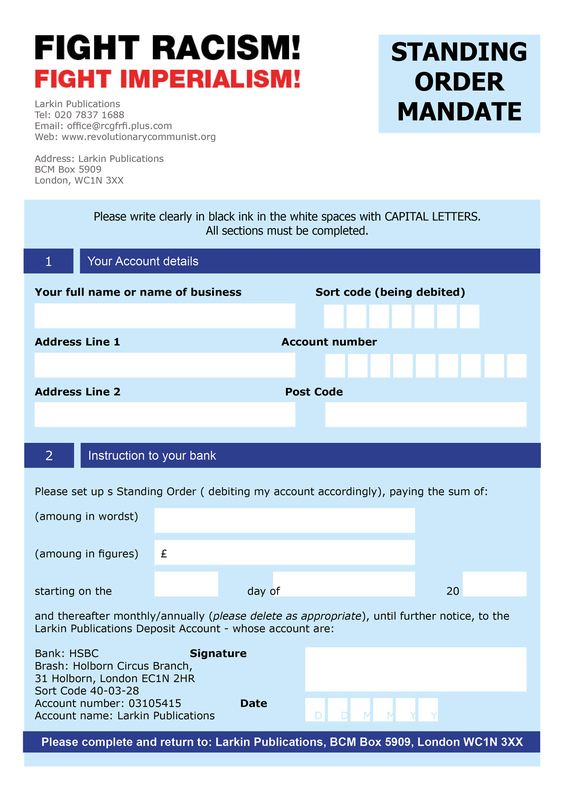 can play a key role in the politics of the movements to come – keeping the focus on the imperialist nature of British capitalism, and fighting the opportunism that spawns from this. Please donate to build real resistance. We need your support to expand our reach in different campaigns and areas. 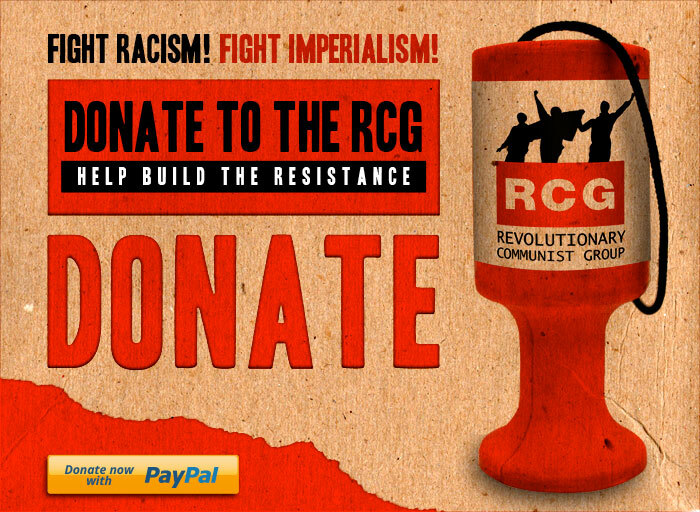 Whether it’s £5 or £50, £100 or £1,000, please support us to build a new revolutionary movement.